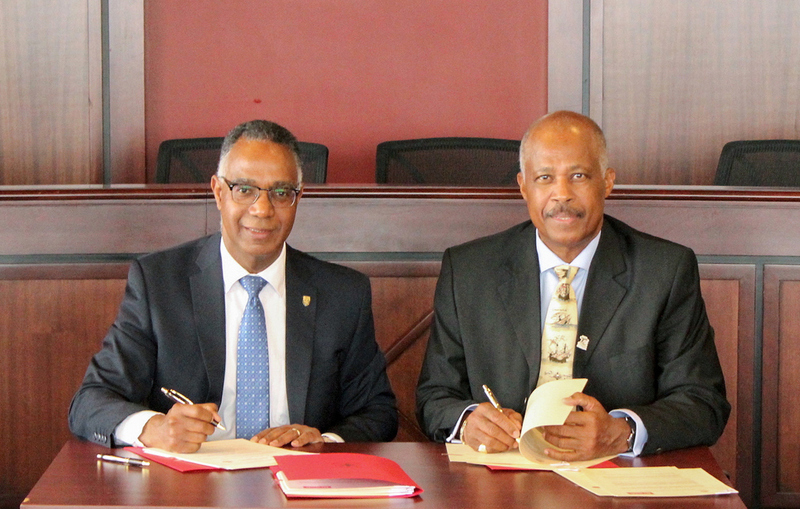 Gervan Fearon, President and Vice-Chancellor of Brock University, and Sir Hilary Beckles, Vice-Chancellor from the University of the West Indies, signed three agreements alongside dignitaries from both institutions during a ceremony held on Brock University’s main campus Friday, April 5. 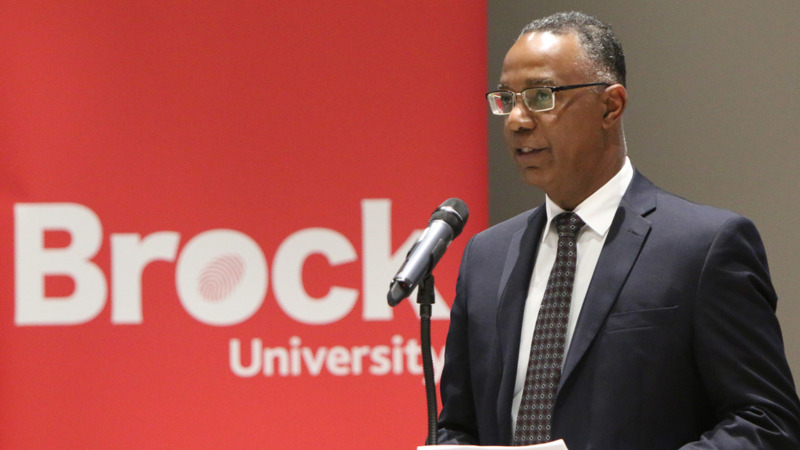 “The signing ceremony at Brock University is a testament to the relationship we’ve built together over many years and commitment to the future of Canadian-Caribbean studies,” said Sir Hilary Beckles, Vice-Chancellor from UWI. Beckles highlighted the new agreement and recognized Brock University President Gervan Fearon in his opening remarks at the UWI Gala in Toronto on Saturday, April 6. At Brock, James Mandigo, Vice-Provost, Enrolment Management, and International, will serve as the institutional lead to help facilitate the development of the Institute. 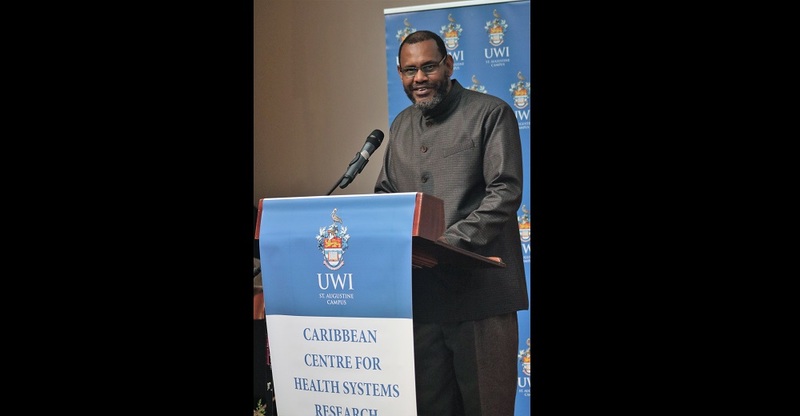 His counterpart at UWI, Richard Bernal, Pro-Vice-Chancellor for Global Affairs, will lead a similar process at UWI. 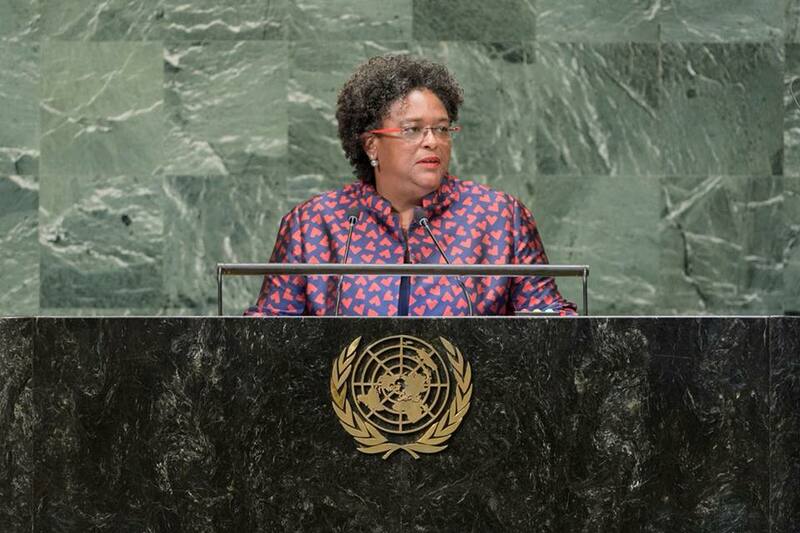 Established in 1948, UWI has campuses in Jamaica, Trinidad and Tobago, and Barbados, and an open campus, which provides post-secondary opportunities to students in 16 other Caribbean nations. It is the largest higher education provider in the English-speaking Caribbean. UWI was recently ranked in the Top 5 percent of universities in the world by the Times Higher Education (THE) World University Rankings in 2019. Together, they promote international and intercultural understanding, academic linkages and enrich the cultural understanding of both universities. More specifically, the agreements continue to provide mobility opportunities for faculty, staff, and students between institutions. Faculty from across Canada and the Caribbean will be able to collaborate on joint research activities and participate in seminars, meetings, and professional development opportunities. General staff, such as administrative and technical support, along with students from both institutions will also be able to gain valuable international experience through an exchange or short-term program.